With the visual inspection and blower door test complete, you should have a pretty good idea of how much impact leaks are having on your energy use and comfort. Now what? You're probably wondering: "With so many leaks to plug, where do I start?" Don't worry. We've got you covered. Here at Dr. Energy Saver Of Connecticut, we take a simple, common-sense approach to air sealing your home. Call us at 1-855-201-5406 or click the button below to schedule a home energy audit and get a free quote for the home energy improvements you need. Foam insulation can be blown into walls, attic spaces and between floor joists to insulate and reduce air leakage. Insulating spray foam can be used to seal air leaks around window and door frames, and electrical and plumbing penetrations. If rigid foam insulation panels are used, spray foam, caulking or foil tape can be applied between the panels to create a tight seal. 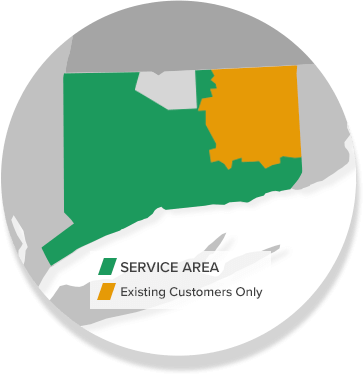 Contact us today at 1-855-201-5406 to get a quote in Darien, New Canaan, Westport, West Hartford, Ridgefield, Hamden or any surrounding area. Dr. Energy Saver Of Connecticut specializes in a variety of air sealing strategies that will keep your home airtight and energy efficient.